Say goodbye to the big stick. Say hello to the big chide. Five months ago, you will recall, President Obama was preparing to launch military strikes against Bashar al-Assad. The strikes were averted when the Russians, seizing on a gaffe by Secretary of State John Kerry, proposed a deal in which Assad would give up his WMD if the United States did not bomb. How are things working out? Well, who could have predicted it, but this week we learned that Assad has retained 95 percent of his WMD stockpile while continuing to miss the deadlines to hand over his weapons. More than 125,000 Syrians are dead, millions more are displaced, and al Qaeda affiliates claim jurisdiction over much of the country. The White House, the Democrats and their stenographers, the media, have really ramped up the hysteria and hyperbole regarding the March 1 sequester deadline. As for the deadline, to hear these folks whine about it, especially our president, you’d think it really was a dead-line. I swear I’ve heard the president say, from one speech to another, that virtually every public sector employee will lose his or her job. It appears this is shaping up to be the mother of all crises. And need I remind you what they say about a good crisis. 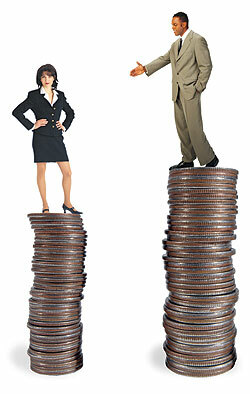 This is how wedded the government is to our tax dollars. Now keep in mind that the following list of tragedies that is sure to befall us is only a fraction of the Armageddon this administration is predicting. All this for a lousy 2% cut spending. That’s the equivalent of a person making $50,000 per year giving up one Starbucks coffee a day. Air travel will be disrupted due to an estimated 47,000 FAA workers being laid off. The TSA will have to let employees go. Of course that will not only cause delays but also security problems. Terrorists, realizing our sudden vulnerability will rush to the nearest airport to wreak havoc knowing the TSA is not on the job. Terrorists such as little four-year-old wheelchair-bound girls and ninety-year old grandma’s may now slip through undetected. The horror! Layoffs of over 36,000 at the Bureau of prisons will lead to a dangerous situation of inmate violence according to Eric Holder. Uh Oh! Gun violence alert! FBI director Robert Mueller warned the Congress and Senate that gun background checks would be impeded, increasing the likelihood of convicted felons ending up with weapons. Because that’s how felons always get their weapons. They don’t steal them; they attempt to purchase them legally. Now if I were this administration, what other hot button issues could I scare the general public with? Well, we all eat. How about a nationwide shutdown of meat and poultry plants. This is what agriculture secretary Vilsack is warning of. That will certainly scare the public. What else? Illegal immigration is a concern of the right. Immigration courts, judges and interpreters will be affected leading to a flood of aliens entering our country illegally. The question is, how will we tell? Is that it? Is that not e nough to tip the scale for you? Well, there’s more. There’s always more. HHS secretary Kathleen Sebelius claims over 370,000 mentally ill and emotionally disturbed patients will lose vital services. 125,000 additional homeless people will be left wandering the streets. 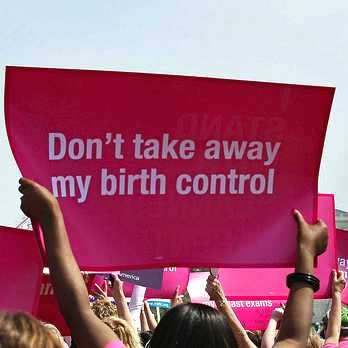 600,000 women and children will be thrown off WIC. 424,000 AIDS patients will be denied medication and housing assistance. Over 800,000 American Indians will be denied hospital care. No Headstart for 70,000 kids and no child care for another 30,000. I could go on and on. Just realize that a paltry 2% cut and spend during will result in the total meltdown of our society, evidently. Now the $64,000 question is, do you believe it? Do you believe the government when they describe such wanton destruction from such a small cut? Well that’s what they are banking on. That’s what progressives do. That’s all they have as motivation; fear. They bank on the ignorant public’s fear of the unknown. But every once in a while the media will slip up and practice a random act of journalism. It doesn’t happen often but it does prove that these folks (reporters) can do their job; they just choose not to. What? Did I hear that right? You mean to tell me that these dire warnings of world ending sequestration-spending cuts will result in a budget increase this year? Why is this the first time we are hearing of this? Well, it isn’t. I wrote about this just a few days ago. Remember; it’s called Baseline Budgeting. So you see, once again, this hand wringing and teeth gnashing is all about nothing. Let me correct that. It’s definitely about something. 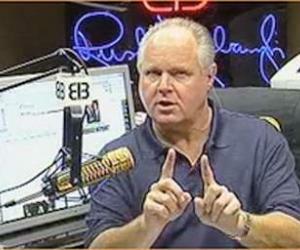 The left has a lot to lose if the bogus spending cuts are allowed to happen. The progressives cannot afford for the ignorant to discover they’ve been lied to. If the sequester “cuts” are allowed and the world doesn’t end, the public may just realize that budget cuts aren’t as tragic as they have been portrayed. This is why we see the full-court press. After all the warnings of doom and gloom, the left knows these cuts won’t even be noticed by the majority of voters and they can’t allow their lie to be exposed. When the public realizes these cuts have little to no effect on their lives, they may actually demand more and the progressives can’t have that. That’s what this whole production is all about. It’s as simple as that. The following is fairly long but quite revealing. Individuals from the Council on American-Islamic Relations (CAIR) visited the White House at least 20 times starting in 2009. In 2008, CAIR was listed as an unindicted co-conspirator in the largest terrorist money laundering case in U.S. history – the trial of the Holy Land Foundation in which five HLF officials were convicted of funneling money to Hamas. 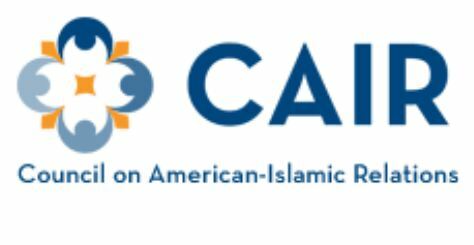 U.S. District Court Judge Jorge Solis later ruled that, “The Government has produced ample evidence to establish the association” of CAIR to Hamas, upholding their designations as unindicted co-conspirators. In 2008, the FBI formally ended all contact with CAIR because of its ties to Hamas. In January 2004, Hussam Ayloush, executive director of CAIR’s Los Angeles office, publicly defended Palestinian terror attacks in comments before Muslim students at the University of California – Los Angeles, saying that terrorists were exercising their “legitimate right” to defend themselves against Israeli occupation. Ayloush, who was a delegate to the 2012 Democratic National Convention in Charlotte, N.C., casts the United States as controlled by Israeli interests. At a 2008 CAIR banquet in San Diego, he imagined “an America that respects and humanizes religion. It’s an America that is free to act on its values and not on the interests of any foreign lobby.” In 2004, he said that the war on terror had become a “war on Muslims.” Ayloush attended at least two White House meetings. The logs show Ayloush met with Paul Monteiro, associate director of the White House Office of Public Engagement on July 8, 2011 and Amanda Brown, assistant to the White House director of political affairs Patrick Gaspard, on June 6, 2009. According to reliable sources, Monteiro was White House liaison for secret contacts with CAIR, especially with Ayloush. IPT has learned that the White House logs curiously have omitted Ayloush’s three meetings with two other senior White House officials. 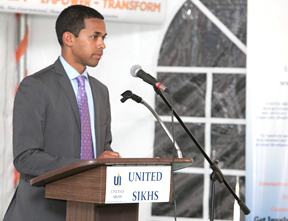 Louay Safi, formerly executive director of the Islamic Society of North America, visited the White House twice – meeting in intimate settings with Paul Monteiro on June 29, 2011 and July 8, 2011. Law enforcement first noticed Safi in 1995 when his voice was captured in a FBI wiretap of now-convicted Palestinian Islamic Jihad leader Sami Al-Arian. 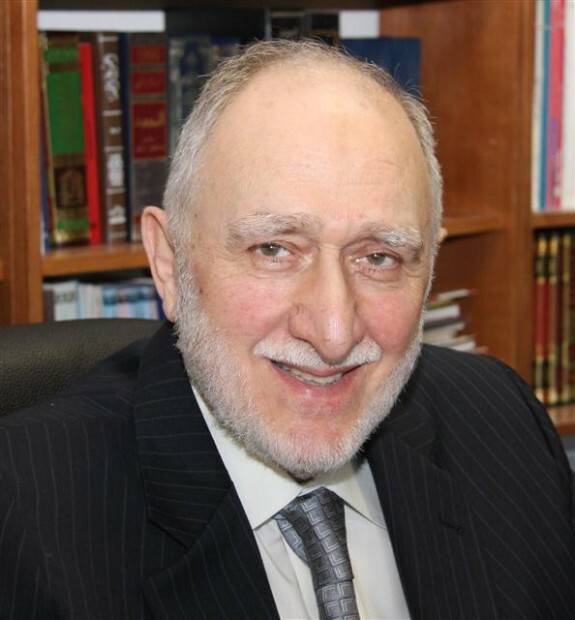 At the time of his conversation with Al-Arian, Safi served as executive director of the International Institute of Islamic Thought, an organization listed in law-enforcement and in internal Muslim Brotherhood documents as one of the movement’s top front groups in North America. Safi has repeatedly expressed understanding for the underlying causes that provoke terrorism: “Terrorism cannot be fought by…ignoring its root causes. The first step…is to examine the conditions that give rise to the anger, frustration, and desperation that fuel all terrorist acts.” He also called Palestinian terrorists “freedom” fighters. 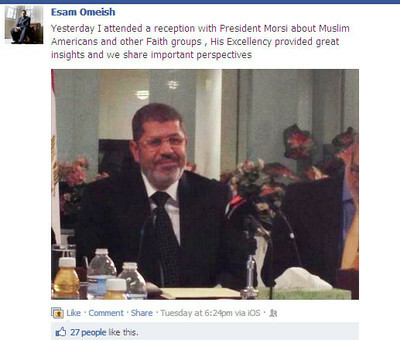 Esam Omeish, former head of the Muslim Brotherhood-created Muslim American Society, visited the White House three times. In 2000, Omeish personally hired the late terrorist Anwar al-Awlaki to be the imam of Falls Church, VA, Dar al-Hijrah mosque. According to IPT analysis, more terrorists have been linked to Dar al-Hijrah since 9/11 than to any other mosque in America. Omeish publicly mourned the Israeli airstrike that killed Hamas founder Sheikh Ahmed Yassin at an April 10, 2004, MAS conference. According to video captured by IPT, Omeish went a step further at the December 22, 2000, Jerusalem Day rally in Washington’s Lafayette Park, praising Palestinian terror groups, saying they had learned “the jihad way” to “liberate” Palestine. Interestingly, the Obama administration’s enthusiastic support for gay rights did not prevent it from inviting Islamists who support laws overseas giving gays the death penalty. In a June 21, 2001 article in The San Francisco Chronicle, Muzammil Siddiqi, the former head of Islamic Society of North America, said he “supported laws in countries where homosexuality is punishable by death.” Siddiqi met with Monteiro on June 8, 2010. Despite the President’s public proclamations that he is standing strong against terrorism, the White House logs demonstrate that he has legitimized the very same groups that espouse radical Islamic terrorism. The Muslim Public Affairs Council (MPAC) has secured the closest working relationship with the Obama White House despite a record of anti-Semitism, whitewashing the terrorist threat and hostility toward law enforcement. Fifteen MPAC officials have been welcomed by the White House. Executive Director Salam al-Marayati enjoyed at least six White House visits between September 2009 and July 2011, mostly involving meetings with Monteiro. Alejandro Beutel, who was MPAC’s government liaison until July 2012, had 10 White House visits between July 2010 and May 2012. 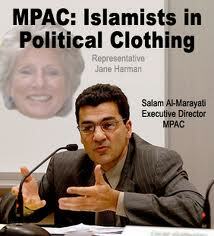 MPAC’s Washington director Haris Tarin made 24 trips to the White House between December 2009 and March 2012. Those meetings often were intimate in nature, involving a handful of people at most. 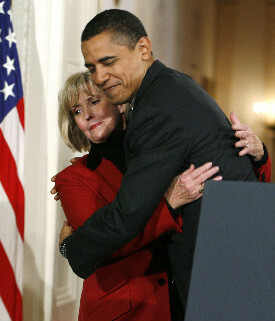 Edina Lekovic, an MPAC spokeswoman, visited the White House twice in July 2010. As a UCLA student, Lekovic served as an editor of a Muslim magazine called Al-Talib, which in 1999 ran an editorial calling Osama bin Laden “a great mujahid” and saying when bin Laden is called a terrorist, “we should defend our brother and refer to him as a freedom fighter, someone who has forsaken wealth and power to fight in Allah’s cause and speak out against oppressors. We take these stances only to please Allah.” That issue identified Lekovic as a managing editor. 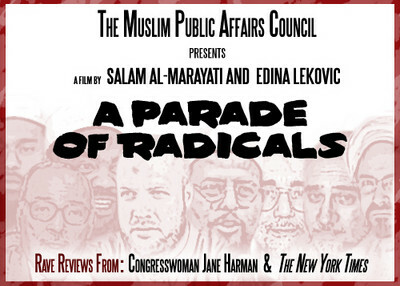 Like CAIR, MPAC also has pushed that “war on Islam” message. MPAC defended Hezbollah’s 1983 attack on a U.S. Marine barracks in Lebanon which killed 241 Americans and questioned U.S.-terror designations for Palestinian terrorist groups Hamas and Palestinian Islamic Jihad. But the White House turned to MPAC officials as it prepared two papers on combatting what it calls violent extremism in America. On July 18, 2011, White House Senior Director for Global Engagement QuintanWiktorowicz hosted four MPAC officials for a private meeting. Two weeks later, the White House issued “Empowering Local Partners to Prevent Violent Extremism in the United States,” a counter-terrorism initiative which made no mention of radical Islam or jihad waged by its followers. Rather, it named only al-Qaeda as the enemy and included a vow to counter al-Qaeda’s narrative that America is at war with Islam. That focus fits neatly with MPAC’s agenda. It has lobbied for years to strip references to Islam from national security dialogue, even though terrorists from al-Qaeda to Hamas use Quranic doctrine to justify their bloody campaigns. Wiktorowicz, a member of President Obama’s National Security Council who authored a 2005 ebook on radical Islam, was a receptive host for MPAC government and policy analyst Alejandro Beutel, Washington, D.C. office director Haris Tarin, policy analyst Hoda Elshishtawy and Shammas Malik, an MPAC intern, White House logs show. MPAC didn’t tout the July 18 meeting publicly but quickly praised the White House initiative. It “echoes MPAC’s long-standing position of emphasizing community-based solutions in addressing violent extremism,” the organization said in an August 3, 2011 news release. Days before the meeting, President Obama called Tarin personally to commend his work with the Muslim American community and the nation. MPAC repaid the courtesy a month later by issuing a paper blasting the American opposition to a Palestinian scheme to get United Nations recognition of statehood without pursuing it through peace talks. 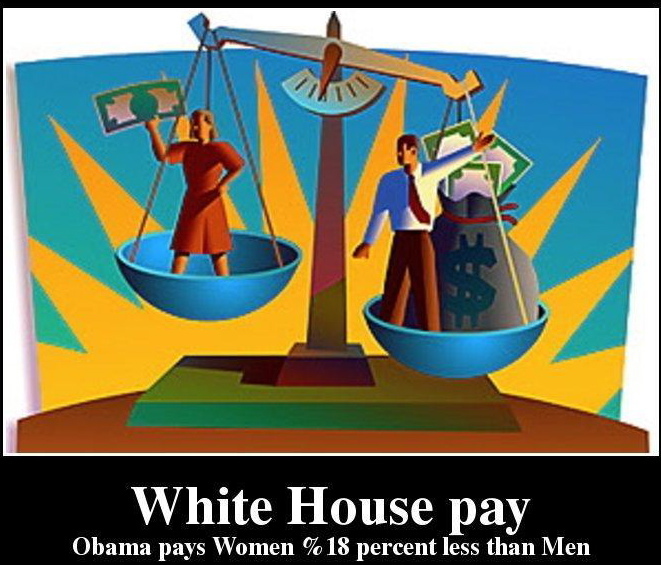 The MPAC report questions the Obama administration’s integrity by suggesting that the “U.S. is so out of step with global public opinion” on this issue because it is unduly influenced by “domestic political consequences” and campaign concerns, an allusion to the perceived political power of the pro-Israel lobby in the U.S., which MPAC often invokes. Despite MPAC’s strident public opposition to U.S. policy, Wiktorowicz again hosted Beutel, Tarin, and Elshishtawy on November 4, 2011 – just a month before a follow-up counter-terrorism document was released. It spoke to a lot of the feelings that I think many Muslim Americans have with respect to their position here in America post-9/11. We are loyal citizens to this nation and we are trying to do everything we can to keep it safe and secure. And yet even when we’re doing the right things and in many cases, laying our lives down on the line for our nation, we still get stigmatized sometimes. Farhana Khera– executive director of Muslim Advocates and the National Association of Muslim Lawyers (NAML). She casts FBI counter-terror stings as “entrapment.” Following arrests in late 2010, she told USA Today, “But for the government’s role in these cases the suspects may have been left with their own bravado. Law enforcement resources need to be focused on actual threats.” Khera also has compromised FBI operations and coached mosque personnel on how to evade FBI surveillance. “In one case, the FBI even wanted to build a gym to attract young Muslims to work out and ‘discuss jihad,” Khera once wrote. 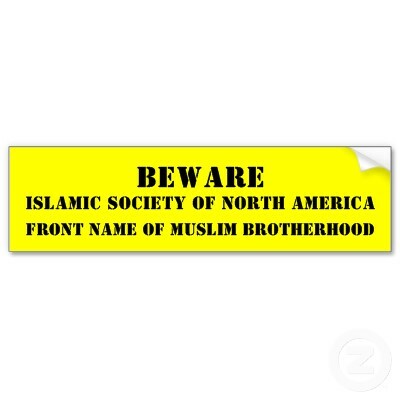 In July 2010 Khera told delegates at an Islamic Society of North American convention: “Sometimes [Muslim] community members don’t even think of themselves as a[n] [FBI] source. They might just think [to] themselves, ‘Well, I have a good relationship with the head of the FBI office. He comes by my office from time to time and we have tea, or we go to lunch, and he just talks to me about the community.’ But what may seem like an innocuous set of conversations in the FBI’s mind they may be thinking of you as an informant, as a source. And the repercussions and the harm that can cause can be pretty serious.” Khera shows up three times in the White House visitor logs, most recently in August 2011. 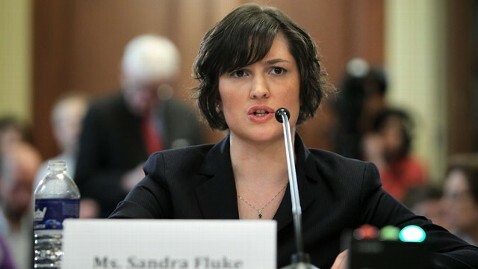 House executive director of the Office of Faith-based and Neighborhood Partnerships. 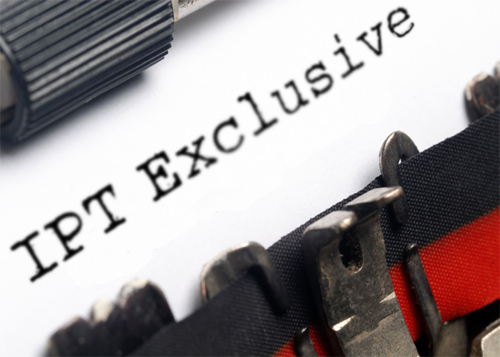 A 1987 FBI investigative report, obtained via a Freedom of Information Act request, cited a source whose name was redacted but who has private communication with IIIT leaders. Their conversations show the IIIT leaders “…are implementing Phase I of the overall six phase IKWAN [Brotherhood] plan to institute the Islamic Revolution in the United States.” The source said that IIIT leaders were working “to peacefully get inside the United States Government and also American universities” ultimately to help overthrow non-Islamic governments. 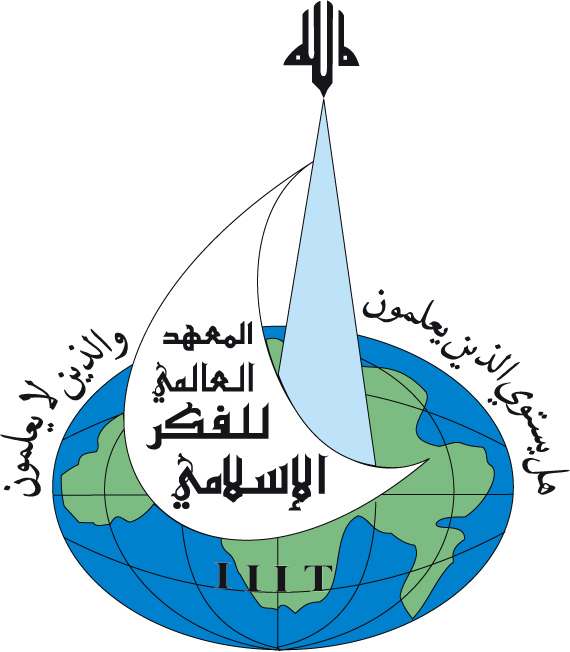 Just four years later, the IIIT acknowledged funding WISE, a Tampa think-tank that housed four members of the Palestinian Islamic Jihad’s governing board (Sami al-Arian, Ramadan Shallah, Basheer Nafi and Mazen al-Najjar). WISE had a cooperative agreement to work with University of South Florida faculty. In a November 1992 letter to al-Arian, IIIT President Taha Jaber al-Awani explained the intimate relationship between the Tampa and Virginia operations. “And I would like to affirm these feelings to you directly on my behalf and on the behalf of all my brothers [naming IIIT officials including al-Talib] … “that when we make a commitment to you or try to offer, we do it for you as a group, regardless of the party or façade you use the donation for … [W]e consider you as a group … a part of us and an extension of us. 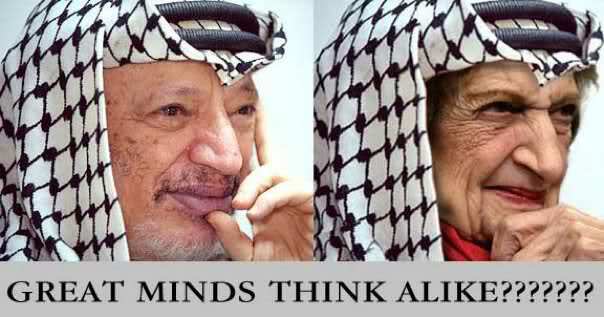 Also, we are part of you and an extension of you,” al-Awani wrote. “[O]ur relationship, in addition to being a brotherhood of faith and Islam, is an ideological and cultural concordance with mutual objectives.” The letter named the IIIT officials who shared this view, including al-Talib. Imam Talib El-Hajj Abdur Rashid–religious and spiritual leader of Harlem’s Mosque of the Islamic Brotherhood. Rashid rationalized Iranian President Mahmoud Ahmadinejad’s stance on destroying Israel, saying it merely is a “sentiment born of the legitimate anger, frustration, and bitterness that is felt in many [parts of the Muslim World” because of Israel’s “ongoing injustice toward the Palestinian people.” He also serves on the National Committee to Free Imam Jamil Abdullah al-Amin. Al-Amin, formerly known as H. Rapp Brown, was convicted of killing a Georgia police officer in 2002.White House logs place Rashid in two meetings during 2010 including a July 13 event with President Obama. Hatem Abudayyeh – executive director of the Chicago-based Arab American Action Network, founded by Rashid Khalidi, a friend of President Obama. Abudayyeh has been under criminal investigation at least since September 2010, when FBI agents raided his home and office in connection with a terror-support probe. In a 2006 interview, Abudayyeh blasted Israel’s “military killing machine” after Israel retaliated for a cross-border Hezbollah attack that killed five people and led to the kidnapping of two soldiers. “The U.S. and Israel will continue to describe Hamas, Hezbollah and the other Palestinian and Lebanese resistance organizations as ‘terrorists,'” he said,”but the real terrorists are the governments and military forces of the U.S. and Israel.” He visited the White House in April 2010. Outreach to minority communities can foster a feeling of inclusiveness. However, President Obama opening the White House to radical Islamists compromises American security in at least two ways. First, it legitimizes groups and individuals whose track records beg skepticism and scrutiny. Second, White House visitor logs show that top U.S. policy-makers are soliciting and receiving advice from people who, at best, view the war on terrorism as an unchecked war on Muslims. These persons’ perspectives and preferred policies handcuff law enforcement and weaken our resolve when it comes to confronting terrorism. Who Is White House Visitor Hisham al Talib? 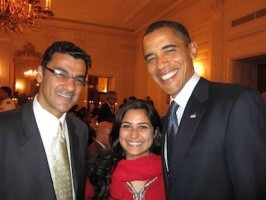 On Friday, March 30, 2012, Hisham Y. Altalib visited the White House. According to visitor logs, Altalib was received by Joshua DuBois, the director of President Obama’s Office of Faith-Based and Neighborhood Partnerships. Four days later, White House officials welcomed a foreign delegation of the radical Sharia-enforcing Muslim Brotherhood from Egypt. The White House meeting with overseas Muslim Brotherhood leaders was reported in April by a few mainstream journalists and questioned loudly by conservative media. But the White House confab in March with U.S.-based Altalib — which appears to be a prep session with the global Muslim Brotherhood’s American advance team — has received no attention until now. jihad and 2) a major contributor to the left-wing Center for Constitutional Rights, the group of jihadi-sympathizing lawyers who helped spring suspected Benghazi terror plotter Abu Sufian bin Qumu from Gitmo? He was the “first full-time director of the Leadership Training Department of the Muslim Students Association of the United States and Canada (MSA)” — a longtime Muslim Brotherhood front group whose explicit goal is to “conquer” America through Islamic propagandizing. 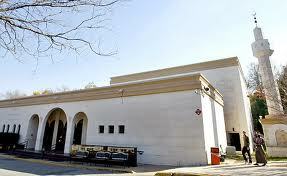 Altalib is also a founding member of the SAAR Foundation and the International Institute of Islamic Thought (IIIT). Last year, his online biography proudly notes, he was “awarded the ISNA (Islamic Society of North America) Community Service Award.” The Saudi-subsidized IS NA is regarded as the primary U.S. umbrella group for Muslim Brotherhood fronts and was named specifically by the global MB godfathers as a key player in their “Grand Jihad” strategy of infiltration from within. SAAR was founded in Herndon, Va., in 1983 as part of a radical Islamic charity front for Saudi financiers called the SAFA Group. The feds raided SAAR’s offices in 2002 as part of Operation Green Quest. Investigators confiscated 500 boxes and seven trucks’ worth of documents illuminating the network’s terror ties to the Al Taqwa Bank (a Swiss-based Muslim bank suspected of funding the 9/11 plot) and the Muslim Brotherhood. Altalib worked for one of Al Taqwa Bank’s main owners, Youssef Nada. Altalib’s more prominent Muslim Brotherhood partner, Jamal Barzinji (one of the champions of the Ground Zero mosque), also worked for Nada. FBI and Customs officials believe SAAR/SAFA laundered money for a plethora of violent Muslim terrorist groups, from Hamas and Hezbollah to al-Qaida and the Palestinian Islamic Jihad. According to Steven Merley of the Hudson Institute’s Center on Islam, Democracy, and the Future of the Muslim World, IIIT has 14 affiliated offices across the U.S., Europe, the Middle East and Asia. Former federal prosecutor Andrew McCarthy, who put 1993 World Trade Center bombing mastermind Omar Abdel Rahman ( the blind Sheikh) behind bars, notes that IIIT was a demonstrated unindicted conspirator in the feds’ Holy Land Foundation terror financing case. IIIT supported convicted terror aides Sami Al-Arian and Abdel Rahman Alamoudi. Altalib, Barzinji and IIIT were also all listed in funding statements from the Center for Constitutional Rights (CCR) as major donors giving in the $25,000 to $49,000 range. CCR is the umbrella group providing more than 500 pro bono lawyers to Gitmo detainees. They have regularly dismissed national security concerns about Gitmo recidivism as “irresponsible … scare stories.” That’s exactly what they did after one of CCR’s clients, Libyan terror leader Abu Sufian bin Qumu, was sprung in 2007. Fast-forward five short years. 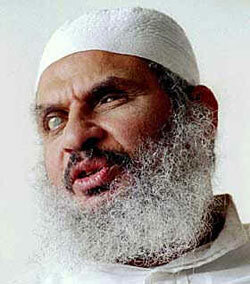 Qumu is now the lead suspect in the 9/11/12 attack on our U.S. consulate in Benghazi that resulted in the murders of U.S. Ambassador Chris Stevens, consular official Sean Smith, and former Navy SEALs/private security contractors Glen Doherty and Tyrone Woods. In the wake of this month’s terrorist attacks on our Egyptian embassy, Libyan consulate and Afghan air base, the jihad helpers at CCR are stone silent. This administration’s idea of domestic “faith-based outreach” is tea with Muslim Brotherhood community organizers who have embedded themselves in American life for four decades with the express intent of “eliminating and destroying the Western civilization from within.” Meanwhile, our commander in chief is squawking to the world about YouTube videos. The Ikhwan are laughing their bloodstained robes off. JERUSALEM (The Blaze/AP) — The top Palestinian envoy to the U.S. has honored longtime journalist and former White House correspondent Helen Thomas in an award ceremony. A P alestinian official says Maen Erekat, the PLO representative in Washington, hosted Thomas at a dinner at his residence. *Thomas was born of Lebanese immigrants. We all know Israel & Lebanon are not exactly bossom buddies. Maybe that has something to do with her hatred of Israel. 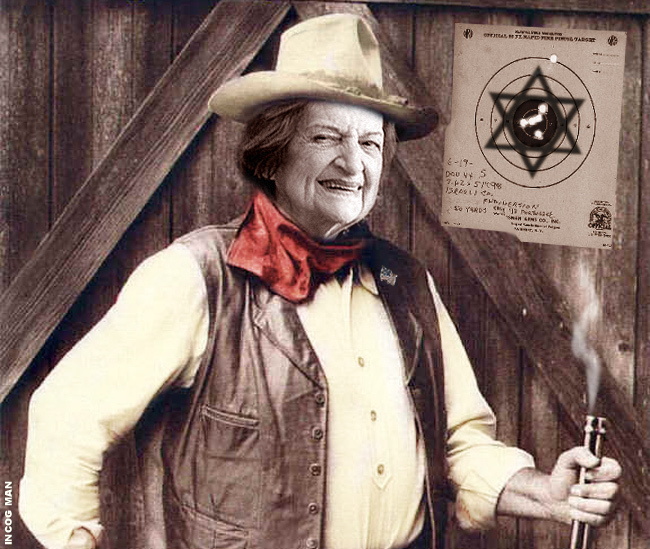 *Doesn’t Helen Thomas, the lover of the United Nations, recall who established Israel in 1948? Of course it was her beloved U.N. Does that mean the U.N. was wrong Helen? Sorry for the digression. The Palestinian official says the event was to honor Thomas for her “stand against the occupation.” He spoke on condition of anonymity because of what he described as the issue’s sensitivity. So, who is shocked by this? I said this was a huge setup. The real tragedy is that it may have worked.